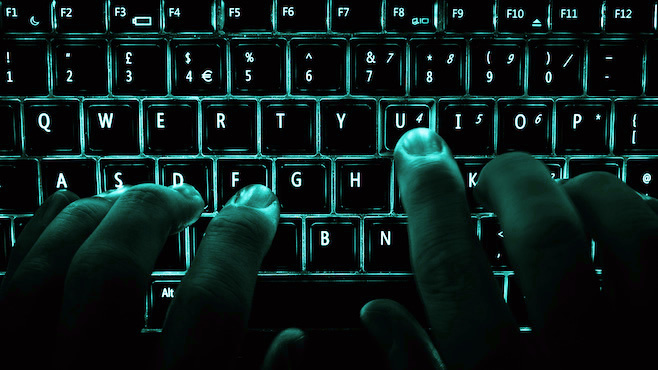 NEVER access your bank through a VPN or a TOR enabled browser. Your account will get flagged because the transaction looks like it's coming from a different country! If you don't know what those are, you probably don't have one on your system, in which case check out what other tips and tricks you're missing in the post below! My personal philosophy, if anything is demanding attention, money ... whatever; if you didn't ask for it, it's a scam. Delete the email, close the pop-up window or hang up the phone! Microsoft will never contact you about your computer. That zipped attachment in your email probably contains a cryptolocker trojan. That popup that says your system needs a tune up, will install more malware. Remember free programs often piggyback bad stuff that installs without you knowing. If you're not sure what it is and your curious, instead of clicking on it, open another tab in your browser and google it or ask someone, hell message me through my facebook page. Most malware infections can be cleaned very quickly and easily, sparing you the expense of taking your system in to the shop. Head to this page on the Digital Dr website to find out how to rid yourself of the majority of malware and unwanted software! Many of the windows key shortcuts will work on a mac by replacing CTRL key with the COMMAND ⌘ key (the common ones are the same). "Many keyboard shortcuts that will work on windows will also work on Linux systems with no change!" Thanks for these tips Matt (gmail tip below too!) Open FOSS Training. If you've ever wanted to play with virtual machines, Matt has made some excellent videos and a website to walk people through running virtualbox! Go give his page a like! Open FOSS Training on Facebook! Thank you very much for today's tip Matt! If any of you are interested in finding out more about running virtual machines, Matt has made some excellent training videos, provides you with the links and instructions to get your own virtual box up and running in no time! Thanks Matt for sharing this excellent resource and sharing your expertise with us! CTRL+c (copy); CTRL+v (paste); CTRL+x (cut); CTRL+z (undo); CTRL+SHIFT+z (redo) are common to most programs in windows. Use them to move stuff between most programs; backup a step or redo a step if you've made a mistake! CTRL+SHIFT+arrow does the same thing in word processors. CTRL+SHIFT+T reopens the last closed tab in your browser. CTRL = (equals) Zoom in, CTRL - (minus) Zoom out, CTRL 0 (zero) Reset zoom! Works in most web browsers! Launch windows programs with your keyboard. 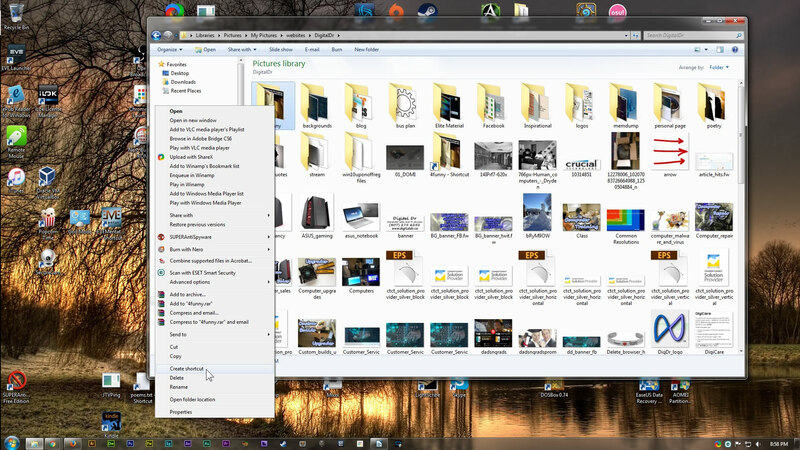 Using your Windows + (number 1-9) will launch that app from your task bar. For example, Photoshop is number 5 on my task bar, so to launch it quickly, I use Windows Key + 5! Easy Peasy! Scroll wheel (middle) click a link will open it in a new tab! 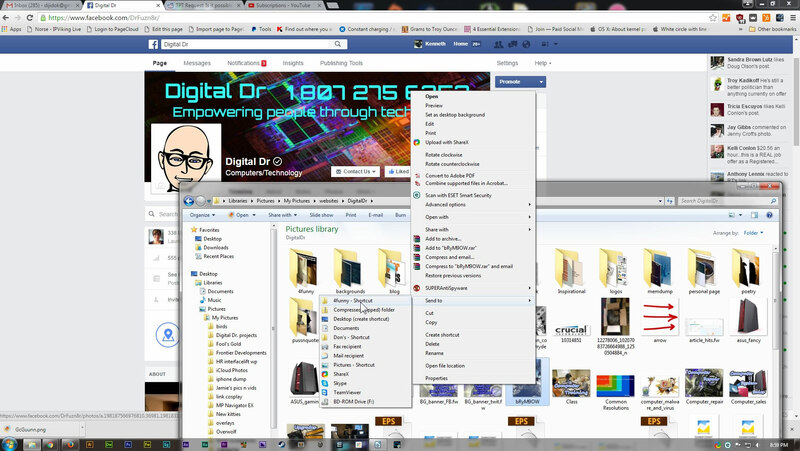 CTRL + Tab allows you to flip through your open browser pages! When binge watching YouTube, set the video speed to 1.25, you will still be able to listen and understand! If you watch a ton of YouTube, this could save yourself much time (click the gear in the YouTube interface)! Click enable under: Tab audio muting UI control. After hitting restart chrome, a tab that has sound will have a little speaker which you can click to mute or you can completely close the page that is yelling at you. Preserve valuable screen real estate by using small icons on the taskbar. 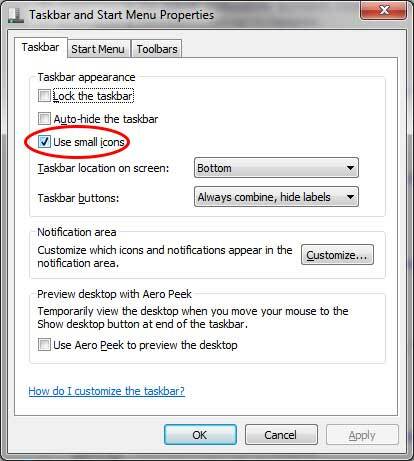 Right click taskbar and select properties. Download, install and update all of your computer's applications from one known, trusted source. Head over to Ninite.com, select what you want, hit install and that's it. no popups, hidden software, toolbars or extra junk. Always pick up the latest software because the website's bots keep everything up to date! Make taking and sharing screens a snap by installing sharex, free open source software! Take a screenshot or a screencast, have it uploaded and get the URL copied to your clipboard with a single hotkey. You can use @gmail.com and @googlemail.com interchangably, allowing you to sign up to the same site twice and only using one email!! How cool is that? Another tip for Gmail users from Matt of Open FOSS Training: you can add +something to help you filter your gmail accounts. For example dijidok+asus@gmail.com still goes to my inbox but allows me to filter on asus to find their emails that much easier! Conserve much battery life on iOS smartphones by uninstalling Facebook and Messenger. iPhone 5s less than a day's charge with them. 76% battery remaining on day 2 without them installed. You do the math. 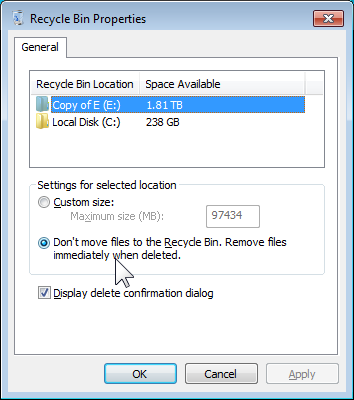 Format usb sticks NTFS in order to get the full space usage on any over 4 GB and to copy larger than 4GB files to it! 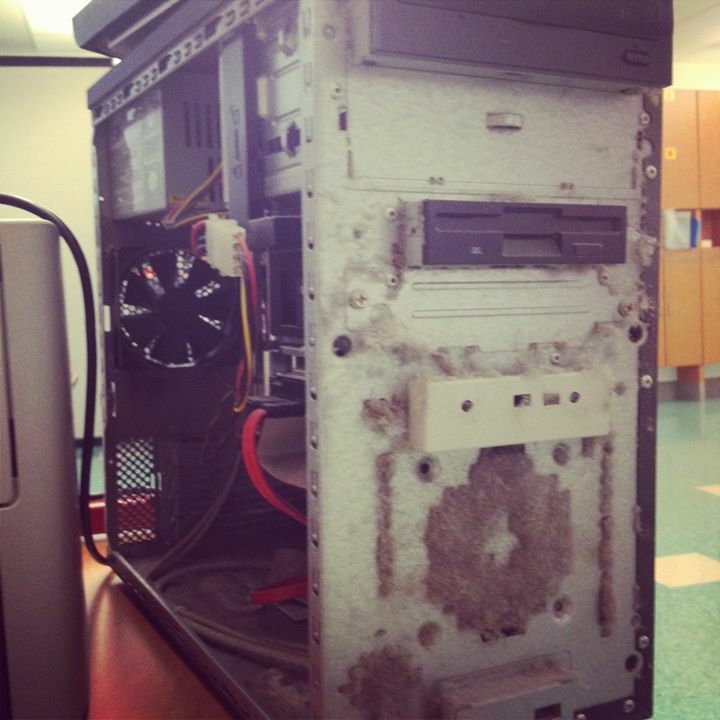 Never put your computer directly on the carpet. Always put up on a raised surface or it WILL look like this ... even 6 months after you brought it in for a cleaning the first time. Once you hit enter it will take you to a different page allowing you to choose the format and file density. Click on the one you want. Go check your downloads directory! USE AT YOUR OWN RISK, Digital Dr and employees are not responsible for any negative outcome of an action you undertake and know to be risky. Some employers take strong exception to this kind of behaviour. Use with discretion. Step 1: Go to google translate. Step 2: Type in the URL of the website you want to get to in the left box. Set the translation language to English, and the input language to Spanish. Step 3: Click the link on the right. This will take you to that website inside of google translate, where you can freely browse without being detected. When highlighting text to copy from a webpage, you don't have to select and drag your mouse from start to end. Just click the mouse at the starting point, then use SHIFT+CLICK at the end of the selection. Recover 10% of your hard disk space!! 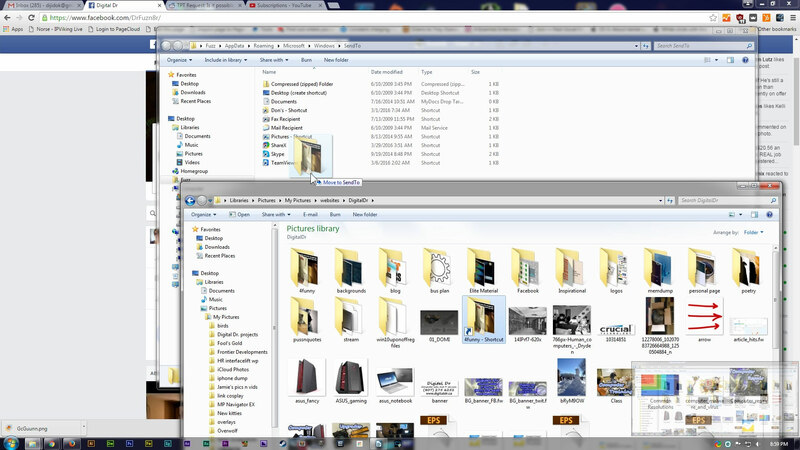 Windows hidden "god mode" folder! The folder icon will change to a Control Panel-style icon, and you will be able to enter and change all kinds of settings. Please Note: Don't try this on Windows Vista 64-bit as it's known to cause a boot loop. Also for new or novice users, please be careful of what you are changing. If you are not sure, then please cancel whatever you initiated and wait until you KNOW what a particular function is doing! Are you the type that must try the free offers and toolbars that show up when you're surfing (not safe, but what the hell do I know eh?!?)? Then get and install Unchecky so you don't get unwanted software with that install! Have a working folder that you send files to all the time? Make copying your files there easier by adding the folder to SendTo. Make a shortcut of the folder. Image 1. Drag folder shortcut into sendto folder that just opened. Image 2. Now when you want to add a file, right click file(s) -> sendto -> your new folder! Note: this leaves a copy of the image behind in the old directory, if you don't need this one you can delete it after you send to new folder! I work with 1000's of image files for web and other things. When I start a project, I create a new folder and use this method to quickly fill it with only the material I need instead of having to browse through 1000's of images. Plus now I have an archive just for that project! Joshua Hamlett of Hamlett Computer Services sent in the next tip for us! Thanks Josh! Hamlett Computer Services - Chicago Computer Repair and Services. Install an adblocker to prevent popups and messages to install things like "Flash Player Pro" and other adware on free content sites! Note: Blocking ads may prevent some websites from working properly, most notably CBS.com and NBC.com. If a website is not behaving as expected, disable your adblocker or use another web browser like IE (or Edge) to view the site.